This morning while I was out cruising my favorite blogs and discovered a creative post worth sharing. 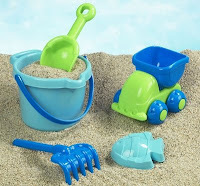 Make your own Moon Sand at PennyPinchingParent.com. With my daughters and my friends who have autistic and children with special needs, we are always looking for creative sensory activities. This is perfect for our kids. Thank you for the great idea.